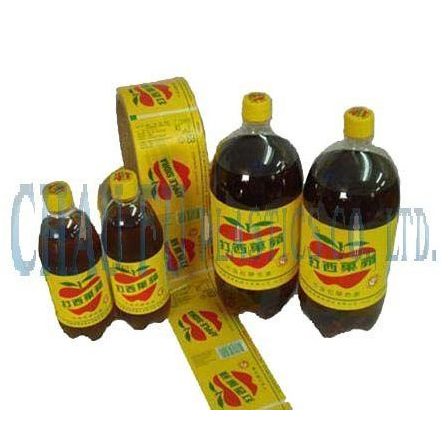 OPP Pearl Film (Beverage Label & Packaging Material) - Chau-Fu Plastics Co., Ltd. The OPP material has diverse feature with heat shrink film. It's not stretchable, and it needs to paste up with bottle through machines. Due to its superior brightness and gloss surface, it appears higher quality of product after printed. With outstanding opacity, bright white appearance and low density superior in machinery. It suits for any material and any shape bottle. Having outstanding water-proof character, non-toxic, no scent, it's belong to one of environment-friendly material.